By definition vertigo is a sensation of dizziness most often accompanied by a confused, disoriented state of mind. 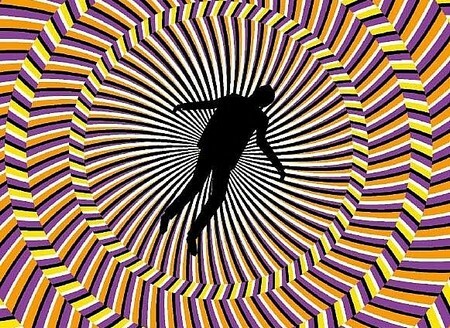 Vertigo by itself is not a disease. It is more accurately called a symptom that may occur for many reasons due to an actual disease. The symptom alone causes a person’s balance to be off and sometimes even blur depth perception. Untreated vertigo can be dangerous. It causes visual impairment and can hit a sufferer at anytime. Accidents can occur whether the incident happens while a person is driving, walking or even standing still It is important that the person also looks into the underlying reasons for their vertigo as opposed to just isolating and treating the symptom alone..There are some ways to treat vertigo with simple home remedies. In the more severe cases you may need your doctor’s advice. Here are a few simple ways to help cure your bouts with vertigo. When you start experiencing disorientation due to vertigo slowly place your right hand on your forehead. Doing this helps to clear the foggy feeling of disorientation as it aids your extremities in re orientating with themselves. Press your head into the palm of your hand. Be sure to keep the hand firm against the head. Do this in time intervals of 10 seconds. Repeat this step several times. Depending on the underlying causes for your vertigo some foods may help remedy the effects of vertigo. Foods like poppy seeds, dates and citrus fruits are said to help subside the symptom. Make an appointment with your doctor to find out the cause of your vertigo. Vertigo is not a disease by itself. There is something causing it. Vertigo may be an indication that there are other medical conditions you should be made aware of. You don’t want to postpone finding out what medical condition may be causing vertigo. The faster you get the underlying diseases figured out, the faster the ease will come from the effects of vertigo. Medical attention is important and necessary to diagnose a cause. Consult with you doctor to see what medications are available to help you deal with your symptoms. These recommendations will come after the cause of your vertigo has been accurately diagnosed. Medications may vary depending on the underlying diseases. Once the underlying disease is being treated the vertigo should subsequently subside as well. There are also simple procedures available outside of home remedies. An eye plug may assist with vertigo even for severe cases. This procedure is a simple one and has a 95 percent effectiveness rating. It corrects the visual imbalances associated vertigo. How to Develop Good Vocabulary?